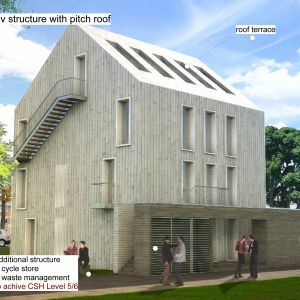 In November 2011, the BRE (Building Research Establishment) launched a design competition for a PassivHaus home to be built on the BRE Innovation Park in Watford. 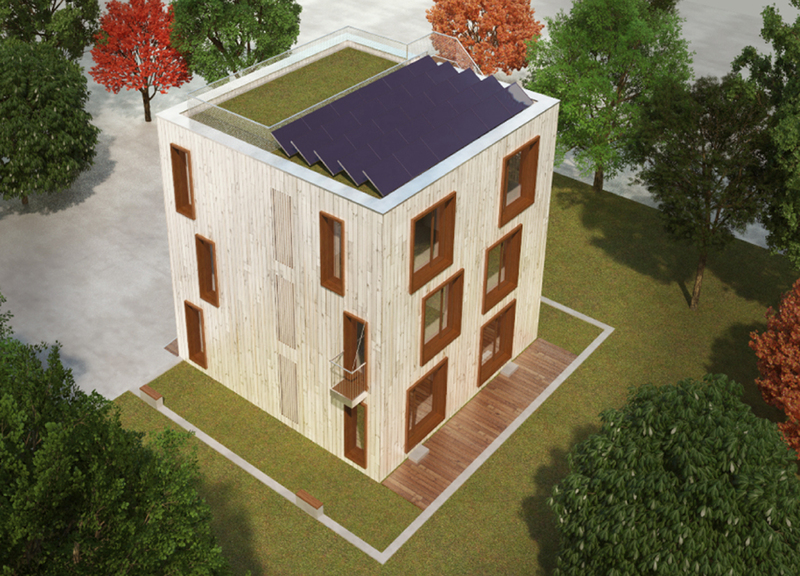 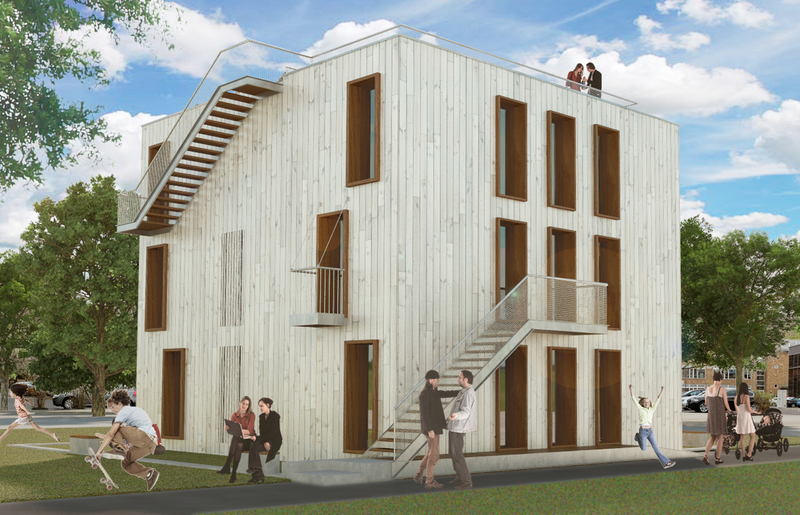 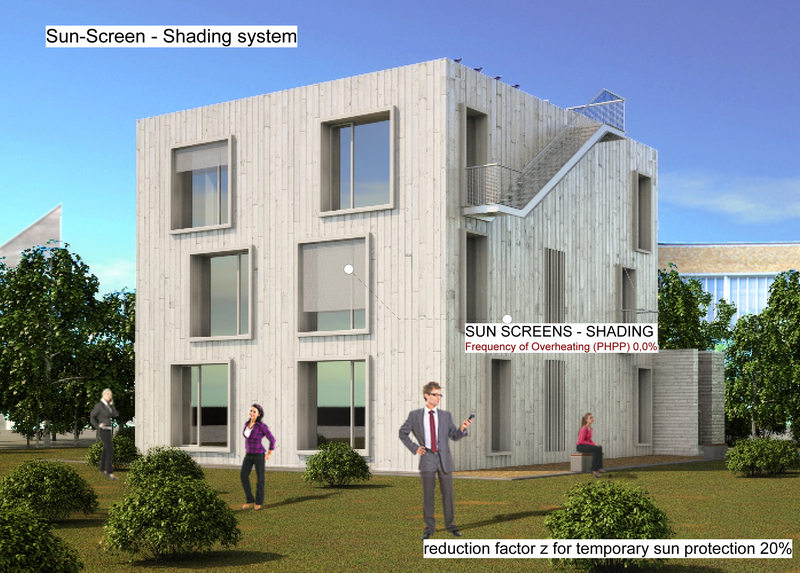 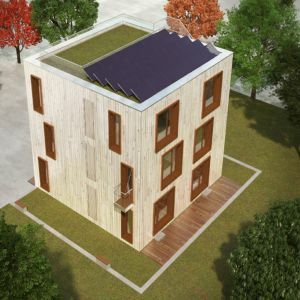 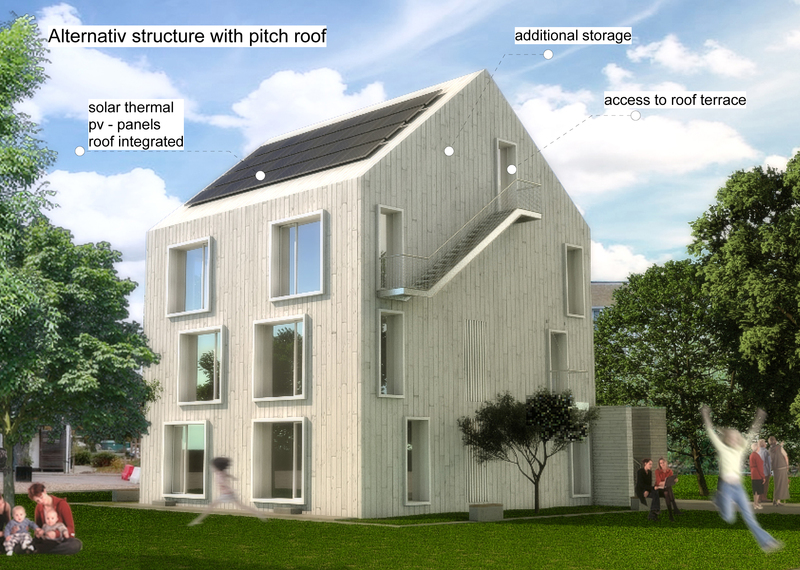 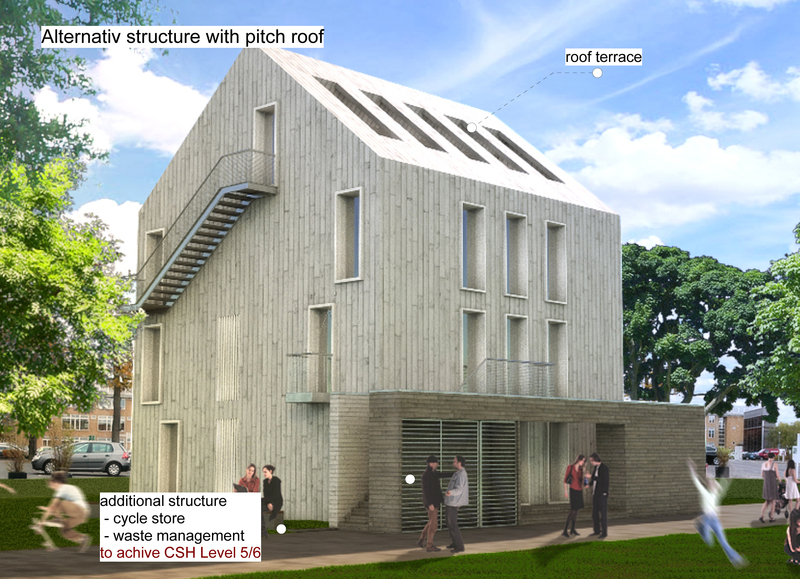 The brief was to demonstrate that the PassivHaus standard can provide affordable, ultra‐low energy social housing. 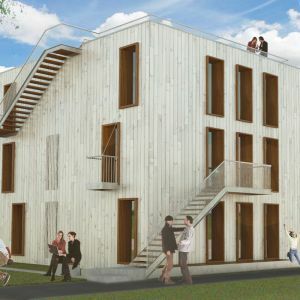 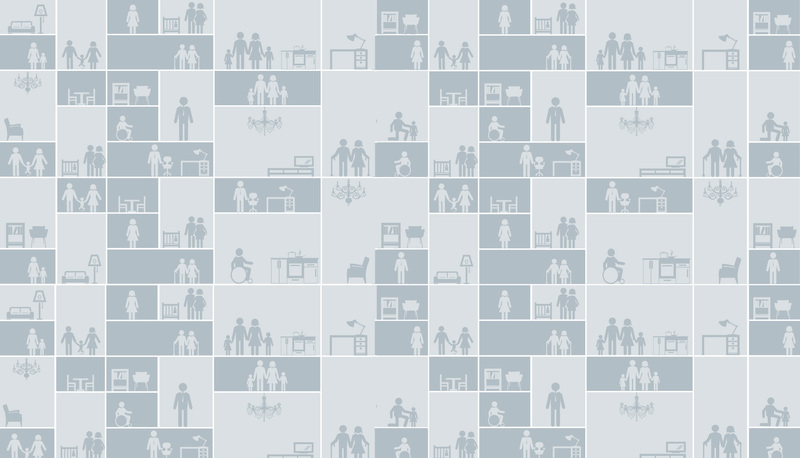 Key aspects to be considered were occupant wellbeing, fuel poverty, energy security, social issues and Life Cycle Greenhouse Gas emissions. 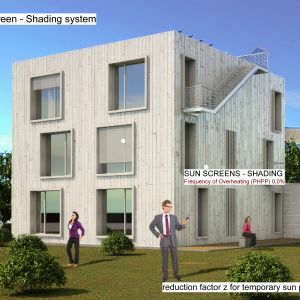 Entrants were asked to design a 2 or 3-storey, semi-detached family dwelling, with one unit destined for social housing and the other for private market. 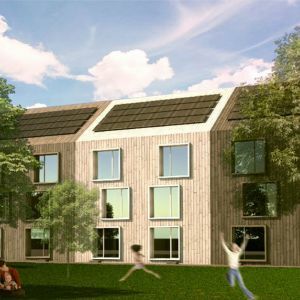 Particular attention was to be paid to reducing the overall Primary Energy consumption of each unit to well below the 120 kWh/m2/a limit set by the PassivHaus Institute, in line with wider climate protection standards and policies (including the UK Climate Change Act). 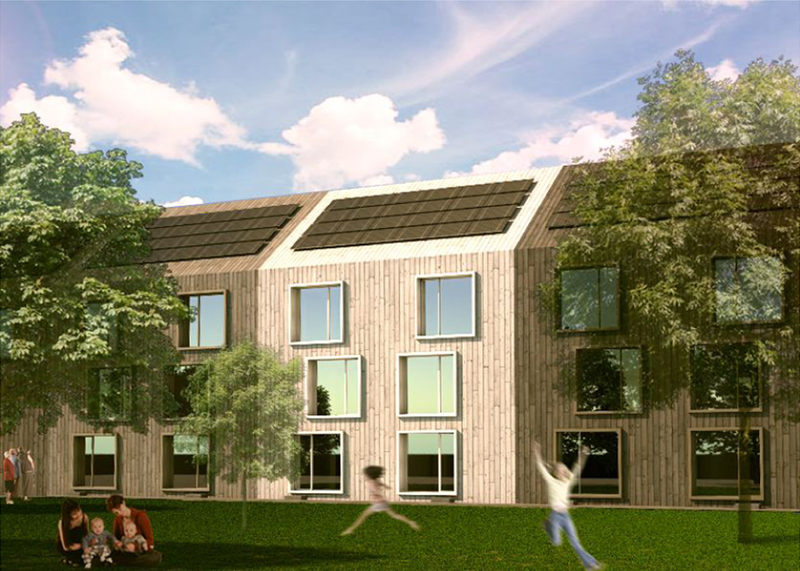 Level 4 of the Code for Sustainable Homes had to be achieved as minimum, with a threshold for construction costs set at £1,100m2 for the social housing unit and £1,500m2 for the open market unit. 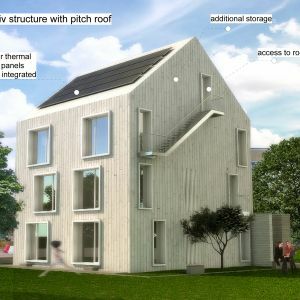 The same construction method was to be used throughout.